Many schools across the country are now transitioning to a digital learning environment filled with Chromebooks, iPads, Macbooks and a variety of other student devices. This is a huge transition for teachers and is often very overwhelming. How do you utilize these devices in your classroom? How do you manage them? How do you create a workflow that allows student creation on the devices and then has a process of turning them in? We work with a lot of schools that are facing these questions. Some have been very proactive and have involved their staff to develop expectations, goals and helpful strategies. Other schools have just put the devices in the hands of the students and have hoped for the best. Those schools normally call us in a panic. For a teacher that is used to being the main focus at the front of the room, it is a little scary to now look out and every kid has a device in their hand with the expectation that their learning will now be primarily digital. The more I work with schools, the more I realize the need for a learning management system. I believe this so much that I left the classroom to help develop a new one after years of using different systems that never seemed to meet my needs as a teacher or as a student. A learning management system is an easy way for teachers to digitally post materials, activities, and resources for students. This is your digital classroom. Quizzes, discussion boards, assignments all rest in one location. For a school that has adopted one lms for the whole school(which I would recommend! ), students will have all of their work with due dates at their fingertips. There will be no more lost assignments, lack of clarity about deadlines and for those students who are out sick, they can be learning while at home. If you are a school considering going to a 1:1 environment, or are in a 1:1 now, having the right learning management system has to be a discussion as important as to what kind of devices you choose to purchase. Explore what is available. Pilot one lms for a couple teachers. Ask your students what they prefer using. Your lms should be powerful, yet user friendly. 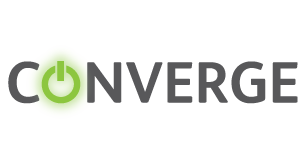 Our learning management system, Converge, is not just another lms. It was built by teachers, with teaching and learning in mind. If you have never heard of it, don’t worry, you will soon. We have just signed some amazing schools that are looking to partner with us to transform the teaching and learning in their schools. Is your school ready for a change? We have you covered. Next PostHow Heavy Is Your Student’s Backpack?